Welcome PhotoBlast ‘16 Exhibitors! Use the resources on this page to prepare for and promote your PhotoBlast ‘16 involvement—so you can have an even more successful, memorable event. Exhibitor Booth Bundle Guide - this guide has contracts included for all of our events. If you are looking to exhibit at more then one event this has great packages available. 2016 PhotoBlast Contract - If you are only looking to exhibit at PhotoBlast 2016 please use this contract. 2015 Magazine Advertising Contract and Pricing- PPO has an annual Magazine that we print and mail to our members and is also distributed at our Annual Convention. This is a great place to advertise your company and products. 2016 Vendor Speaker Sponsorship Form- Please use this form if you are interested in sponsoring a speaker at any of our upcoming events for 2016. Will you be offering a rockin’ show special? Announcing a new product? 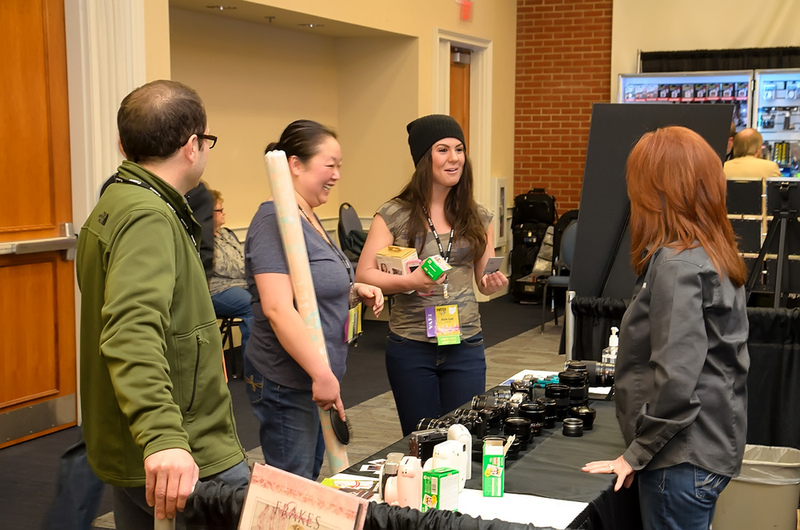 Let photographers know why they can't miss seeing you at the PhotoBlast, and they will plan accordingly. While your company should send out emails and add announcements to your website, blogs, Twitter accounts and Facebook pages, consider also sending PPO a press release or other type of announcement to drum up attention and excitement. We'll post it on the PhotoBlast facebook event page and possibly the webpage, increasing your exposure even more.